The Worlds Healthiest Foods web-site has to say this about Brussels sprouts, ” Brussels sprouts can provide you with some special cholesterol-lowering benefits if you will use a steaming method when cooking them. The fiber-related components in Brussels sprouts do a better job of binding together with bile acids in your digestive tract when they’ve been steamed. When this binding process takes place, it’s easier for bile acids to be excreted, and the result is a lowering of your cholesterol levels. Raw Brussels sprouts still have cholesterol-lowering ability — just not as much as steamed Brussels sprouts…” (Worlds Healthiest Foods). Brussels sprouts have also been found to protects your DNA. That is as cells die, it keeps the body from rewriting them back into your DNA, which is the first step to making tumors. The health benefits as stated by Organic Facts is, “Fennel provides relief from anemia, indigestion, flatulence, constipation, colic, diarrhea, respiratory disorders, menstrual disorders, and its benefits regarding eye care. Fennel for its essence is widely used around the world in mouth fresheners, toothpastes, desserts, antacids and in various culinary applications” (Organic Facts). 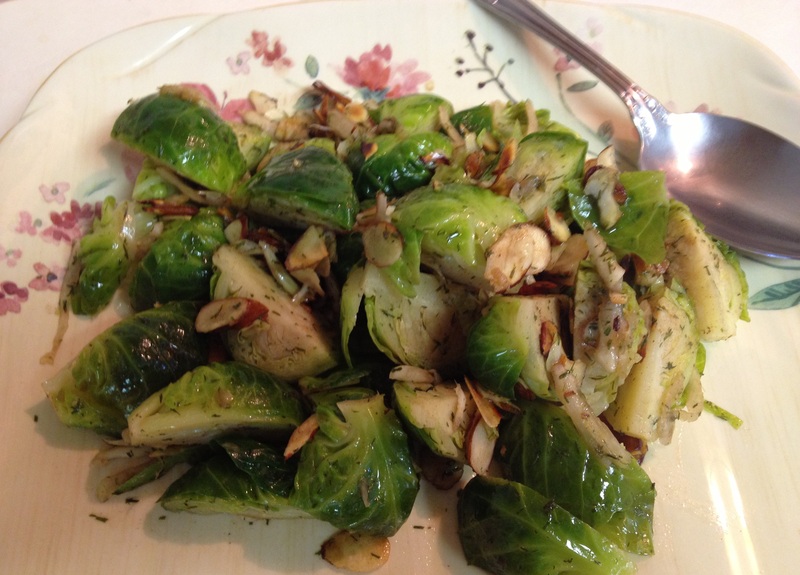 With the facts about use in culinary applications, we bring you our featured recipe: Brown Butter and Brussels Sprout with Fennel. Bring 1 inch of water to a boil in a large saucepan fitted with a steamer basket. 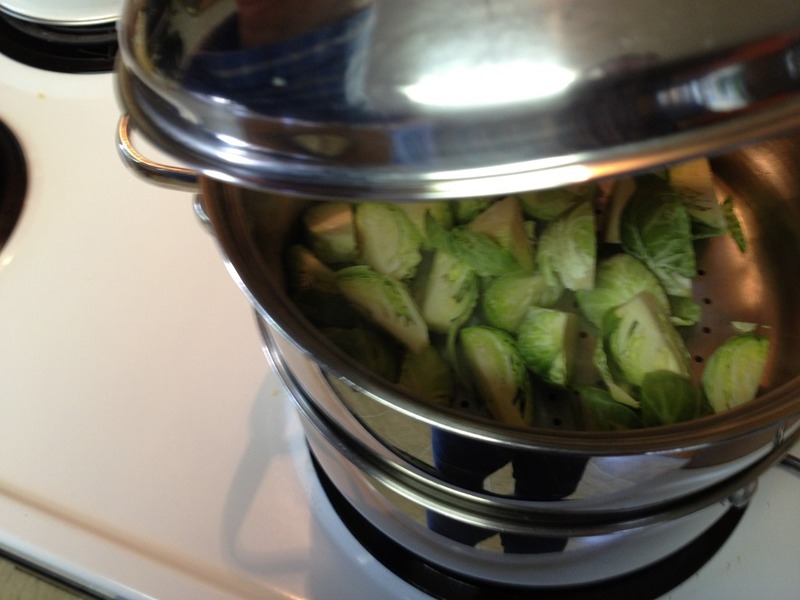 Add Brussels sprouts, cover and steam until tender, 5 to 7 minutes. 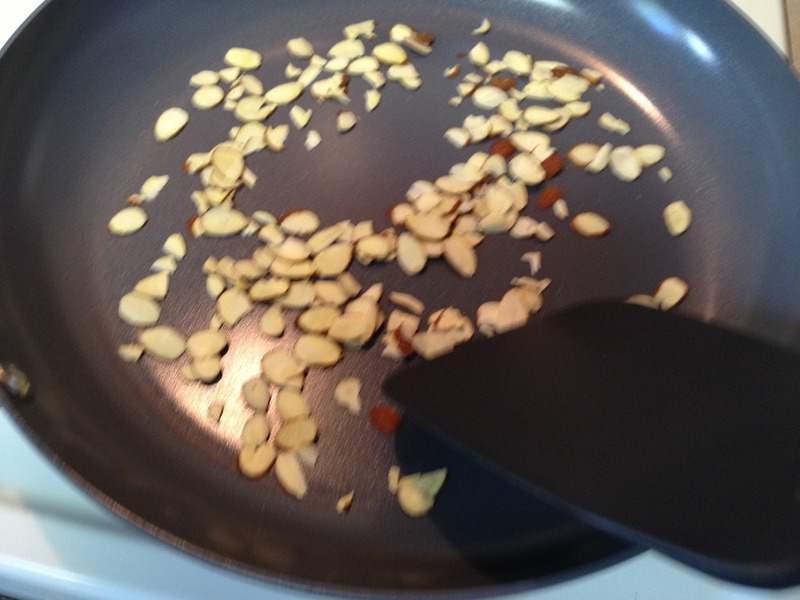 Meantime, in a large skillet, toast slivered almonds till fragrant, about 2 to 4 minutes, and set aside. Next, melt the butter in a small skillet over medium heat. Cook, swirling often, until the butter turns a nutty brown, 1 to 3 minutes. Stir in oil and scrape into a large bowl with a rubber spatula. Note we are using a ceramic coated pan, no Teflon. Read more here about the benefits of cooking with Ceramic here. 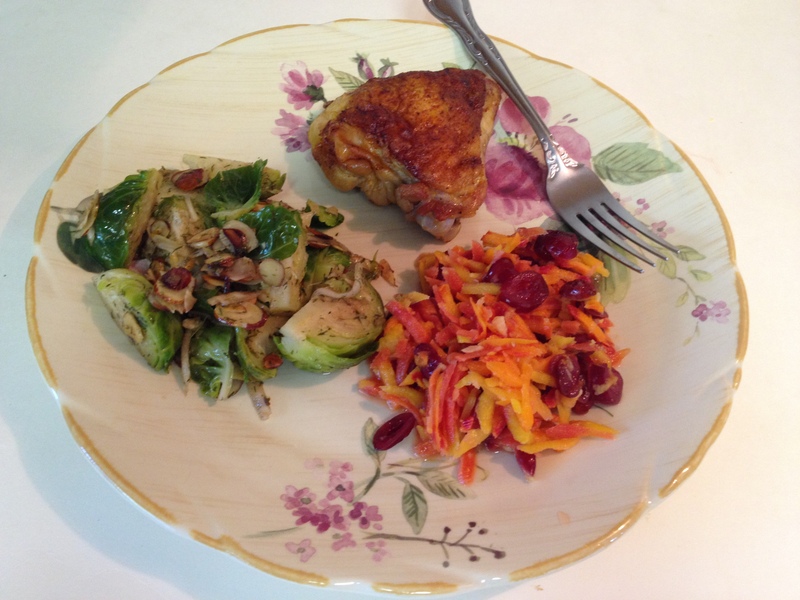 Using a small serving bowl, add the fennel, toasted almonds, dill, Brussels sprouts, and balsamic vinegar and toss to combine. Serve warm with your main dish meal. 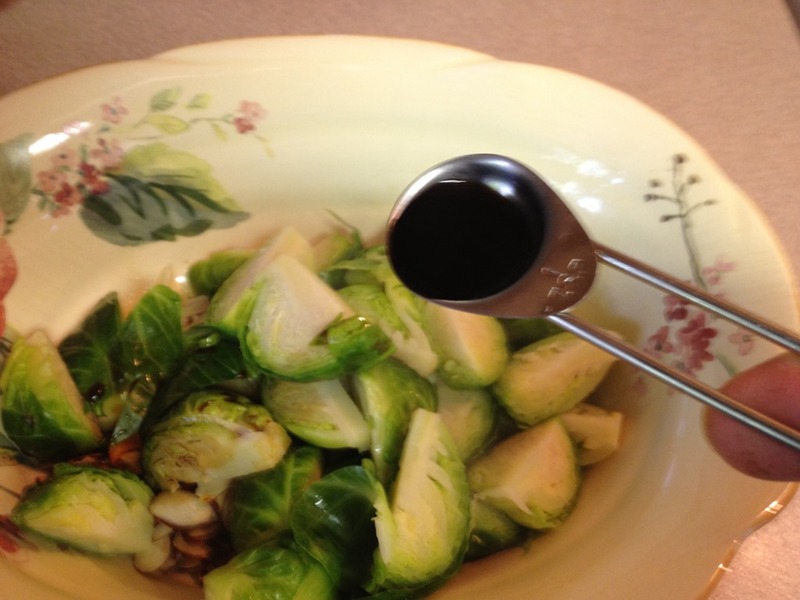 This entry was posted in Side Dish and tagged Balsamic vinegar, Brussel, Brussel Sprout, Butter, Cook, Fennel, Olive oil, Polytetrafluoroethylene. Bookmark the permalink.